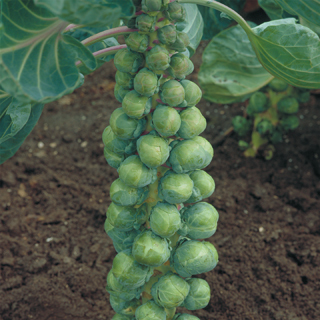 Sow in summer months for ripening in the autumn weather of Oct. to Nov. Beautifully shpaed, dark green sprouts have a fairly mild taste. High yielding, compact plants at 25" tall are space saving in the garden. 147 days.